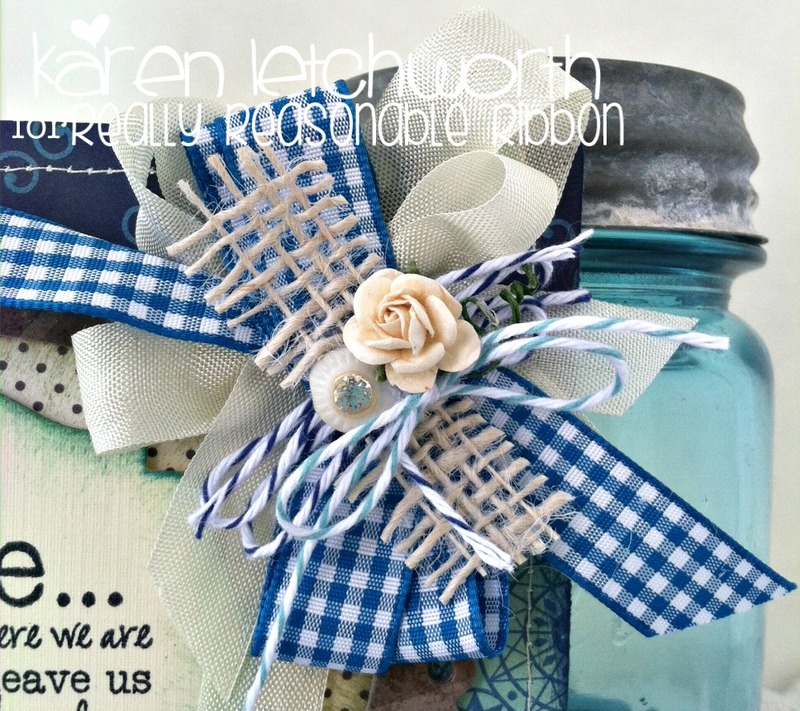 Really Reasonable Ribbon Blog: Really Reasonable Ribbon ROCKS! My good friend, and owner of Really Reasonable Ribbon (what I believe is the greatest ribbon shop in the world), Bonnie Garby, once told me that "a card just isn't complete without a bow". I have to say that I completely agree with her. I just can't resist adding that special touch. This card was cute without the bow, but it's even cuter WITH it. 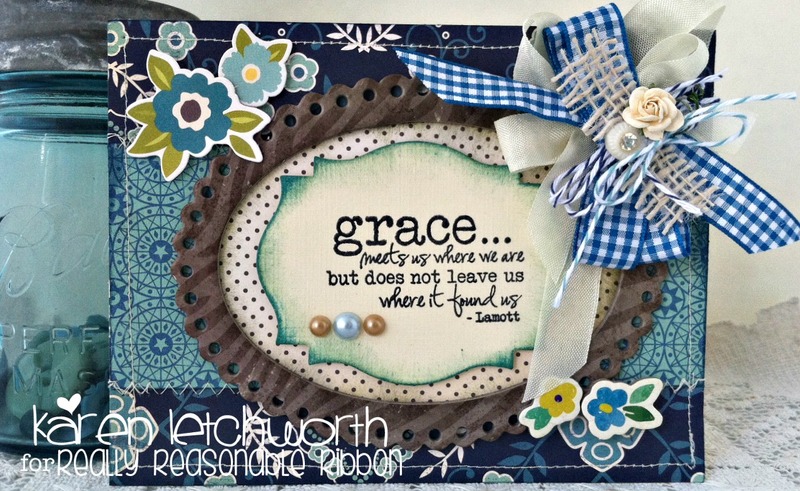 I used some patterned papers, chipboard and stickers, and a stamped sentiment. Like I said, it looked good. But I knew it needed something more; and that something was a big beautiful bow using Really Reasonable Ribbon's AWESOME supplies. I added a bow using their gorgeous Turquoise Plaid Ribbon, some Cream Seam Binding, Teal Baker's Twine, Blueberry Baker's Twine, some awesome 1.5" Jute Ribbon in Ivory, and a pretty Deep Ivory Open Rose by Wild Orchid Crafts. I love the textures, and the personality all these items give to my card. I honestly believe that Really Reasonable Ribbon ROCKS! I highly recommend ALL their amazing products. Doesn't this bow really make the card POP? I invite you to stop by and check out all their amazing ribbons and trims, flowers, and accessories. I know that you will absolutely LOVE all of their amazing products. We also have a super fun challenge where you can play along. We really hope that you will stop by for some shopping, some great inspiration, and lots of fun! Thanks for visiting with us today, and have a blessed week. I'd love to have you stop by my blog, My Cup Runneth Over, to say hello. Happy crafting, and don't forget the ribbons! Gorgeous card and I love all of the great elements you added to it. My Current Blog Challenge - You're So Crafty!